In today’s post, Allyson Byers helps us to see how tools learned in therapy can be used and helpful in everyday life outside of session hours. 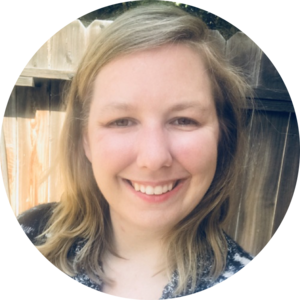 About the author: Allyson Byers is a freelance writer who loves writing about mental health and chronic illnesses. She lives in Los Angeles with her 7-year-old rescue dog. When she's not writing, you'll find her at a comedy show or checking out LA's food scene. Read more of her writing at allysonbyers.com. I’ve been going to therapy for two years now, and one of the biggest things I’ve learned is that most of the work happens outside of sessions. While it’s been really helpful to talk about things during session, it’s been just as helpful to learn new tools to manage my depression and anxiety, since my therapist can’t be with me 24/7 (as much as I want her to be sometimes!). I meditate on a daily basis. Meditation is a big buzzword these days, but it was my therapist who really got me into the habit of meditating daily. Whenever I described to her how my brain never slowed down and was always living in the future, she would bring up meditation and its benefits. She showed me different meditation apps, including Calm, Headspace, 10% Happier, and Aura, and encouraged me to spend just five minutes a day meditating. At first, I looked at it as a chore and would schedule time in my day to meditate. I frequently complained to my therapist about how difficult it was and how much I hated it. She told me that the fact that it was challenging proved how necessary it was for me to do it. And of course, she was right. The more I did it, the more I craved it. Now, whenever I feel myself starting to get really anxious or depressed, I open one of my apps and put on a guided meditation. I also use meditation to fall asleep. 10% Happier has a whole section of its app dedicated to sleep meditations. I am always asleep before the meditation has ended and no longer rely on sleeping pills as much as I used to. 2. I journal every night. I absolutely love writing, since I do it for a living. But I didn’t understand the benefits of journaling until I started making a habit of doing it. I used to show up to sessions with jumbled thoughts in my head and would always leave feeling like I didn’t talk about things that were really bothering me. My therapist suggested I journal daily as a way to organize my thoughts. She also said it might help me sleep better. I now journal every night. I set a timer for 15 minutes and just write down whatever is running through my mind, no matter how inconsequential it may seem. I also spend 30 minutes or so before therapy reading through the most recent entries to help me figure out what I want to talk about in session. These pages have given me so many insights and have allowed me to notice thought patterns or themes. It’s also helped my therapist gain a better understanding of what I’m thinking or feeling. When I’m going through a depressive episode, she’ll have me journal when I’m in a particularly dark place to help me process my feelings and thoughts as well as help her understand what’s going through my mind during those moments. 3. I take a ten-minute break everyday to do yoga. My therapist is a huge fan of yoga–she goes to a class at least three times a week and is always talking to me about its benefits. I told her I was too nervous to go to a class, so she gave me some suggestions of channels to follow on YouTube, including Yoga with Adriene and Do Yoga With Me. She encouraged me to take a ten-minute break during the day to just stretch and do a few poses. It has now become a part of my daily routine. Since I work from home, I take a ten-minute break in the afternoon, roll out my mat in my living room, and turn on a short video. It allows me to focus on my body for a little bit and give my brain a break. I will also sometimes do yoga at night to help me calm down after a particularly stressful day—a few times I’ve even fallen asleep on the mat! 4. I utilize the crisis plan my therapist and I came up with. I’ve struggled with ongoing suicidal ideations for over a year now. I finally opened up to my therapist about them, and she suggested we create a crisis plan, so I know what to do and who to call when things get particularly bad. We spent some time brainstorming activities that make me more relaxed or bring me joy. My list included things like taking my dog for a walk, listening to music, lighting a candle, watching “Friends,” etc. We also made a list of close friends/family who I could call along with the suicide hotline number, the number to my local hospital, and her number (you can find NYC-specific crisis resources here). Finally, it includes the names of a couple local support groups and the day/time they meet. I keep a copy in my email as well as a printed copy in my purse, and it’s come in handy many times. My thoughts can be triggered by almost anything, so I never know when they are going to strike next. Having this piece of paper gives me peace of mind, because it easily lists resources, so I don’t feel overwhelmed. When I’m in this state, I can’t think clearly and my mind is just trying to convince me that the best thing to do is end it all. But when I look at this list, I’m reminded that I have people I can call or places I can go. I can also focus on the activities to take my mind off of things until the feeling passes. 5. I make a conscious effort to become aware of my negative thought patterns. I didn’t realize how negative my thought patterns were until I started seeing a therapist. I was always someone who saw the glass as half empty. Even if things in my life were going well, I’d find something negative to harp on. And when I’m going through a depressive episode, my brain puts a negative bias on everything. I can easily convince myself that friends don’t care, I’m not good at my job, and I don’t deserve to be happy. My therapist has taught me that just being aware of my thought patterns is the first step in fighting against them. I still have these thought patterns, but I’m able to catch myself before they start to spiral by saying out loud, “This is the negative bias. It’s not reality.” Just saying that out loud helps break the pattern. 6. I play the “Then What?” game. I’m a perfectionist—always have been. And it’s hindered me a lot over the years. I’ve been afraid to take risks for fear of failing. I still remember the first time I failed a test in 4th grade. Failures and mistakes haunted me on a daily basis. Then my therapist taught me a great trick that helps put everything into perspective. I explained to her during one session that I have a huge fear of losing my job. It’s been like this for a few years now. I wake up every morning afraid that today is the day I get fired. I was afraid to hand in assignments or get feedback on something for this very reason. She suggested we try an activity. I ripped out a piece of paper from my notebook, and she asked me to write down my fear of handing in assignments. She then said, “What’s your fear after you turn in your assignment?” I told her that they would hate it and think I was an idiot. She replied, “Then what?” Then they would fire me. She continued asking me this until I finally said, “I would get a new job.” And there it was. My worst fears were written out, but I saw that no matter what, it would be okay, and I would get through it. Now, anytime I’m feeling anxious, I play this game. It shows me that even if the worst happens, I’ll be okay. It’s helped me take more risks and not live in fear of making a mistake. One of the best things about going to therapy is building a tool set that you can utilize when you’re struggling. That way, when you’re ready to leave therapy, you’ll feel confident taking on life’s challenges. Thank you, Allyson, for sharing about these six tools with us! You’ve helped us to better understand that much of the work involved in therapy actually may happen outside of sessions. We also are better able to see how and why the time spent in therapy is an investment; while you may spend 45 minutes in session, the positive impact of lessons learned can be something that shows up in our lives daily. For those of you who would like to share more about your own journey, we’re all ears: connect@mywellbeing.com. Anything on your mind you’d love to see answered on our blog?